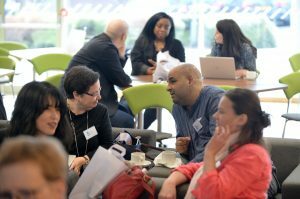 Two very special days in Bradford…….as guests from around the world gather to discuss film education. 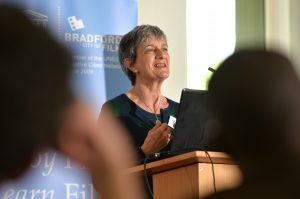 Bradford UNESCO City of Film has a reputation as a world leader in film education and delivers its own film literacy programme in partnership with the British Film Institute. 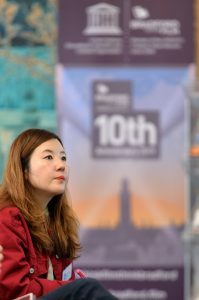 Their Head of Education, Mark Reid spoke at the conference alongside speaker, Yongsun Lee from the Korean Film Council and other experts. L-r Alton Grizzle, Karen Merkel, Philip Webb, Yongsun Lee, David Wilson, Mark Reid, Simona Manni and Tom Barrance. 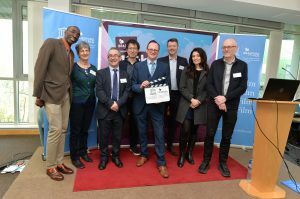 A message from the UK’s Ambassador to UNESCO, Matthew Lodge: Greetings to Bradford UNESCO Creative City of Film from the UK Permanent Delegation to Unesco in Paris. 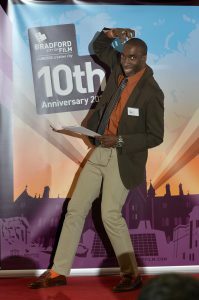 Congratulations on your 10 year anniversary and International Film Symposium at the University of Bradford. 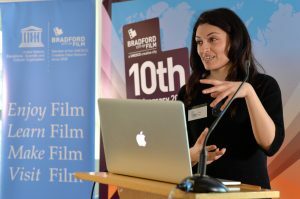 Bradford is leading the way amongst the world’s UNESCO Creative Cities of Film. 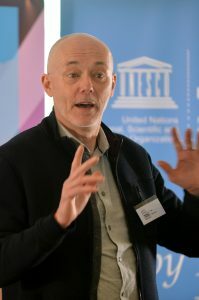 A message from Professor Colin McInnes, Chair of the UK National Commission for UNESCO: Bradford is at the heart of the world’s Unesco Creative Cities of Film. The way it has brought top national and international productions and producers here is outstanding. 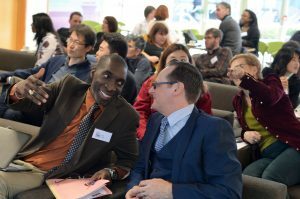 The 10 year anniversary and Film Education Symposium will build on this success. 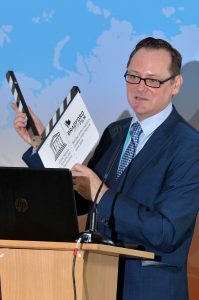 A message from James Bridge, Chief Executive of the UK National Commission for UNESCO Very best wishes for the Film Education Symposium. 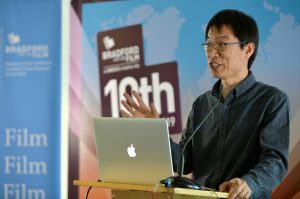 Bradford’s innovative work is inspiring people in the UK and in the Creative Cities of Film around the world. 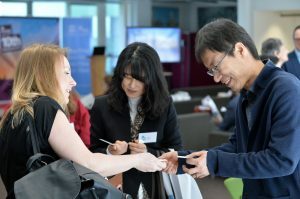 I look forward to working with Bradford to help bring the conclusions of the Symposium to the table in the UK and at UNESCO.